In my opinion, Greek is the best of the Balkan cuisines. There’s such a variety of flavors, with equal emphasis placed on fresh vegetables, seafood, and meat. 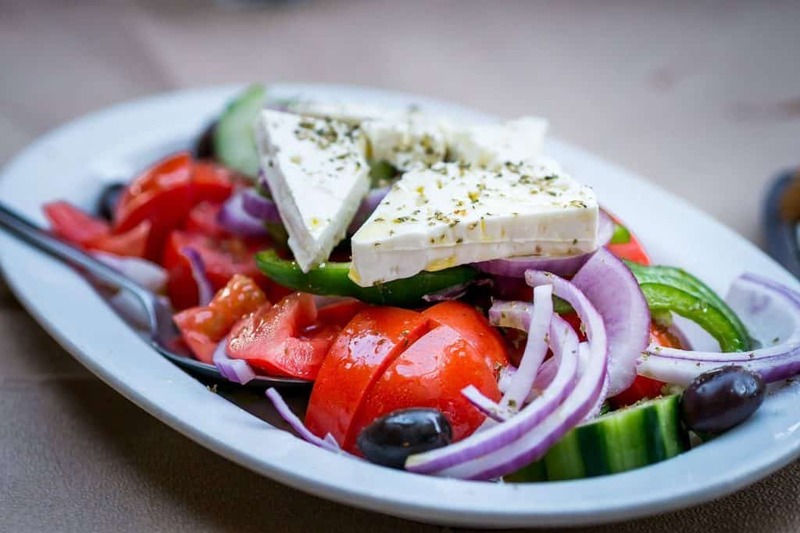 I love how the cuisine is meant to encourage sharing – the array of starters, dips, and salads on offer make Greek cuisine one of the most social and friendly meals to share with loved ones. And don’t forget the omnipresent ouzo, tsipouro, or raki that seems inextricable from any Greek meal! For all the months that Stephanie and I have spent exploring Greece (and Greek cuisine! ), we still have so many more Greek dishes to try. 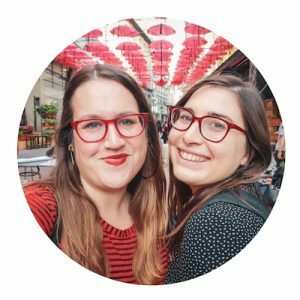 So we asked a few fellow bloggers to share their favorite traditional Greek food as well! 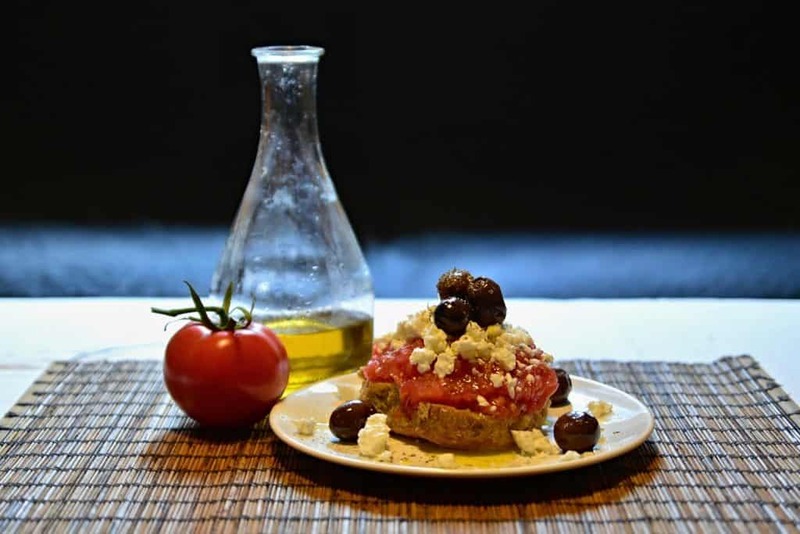 Dakos is a classic Greek meze (starter) originating from the island of Crete. Its main ingredients include tomatoes, feta or mizithra cheese and a slice of soaked dry bread topped with olives and aromatic herbs. Despite its simplicity, it is one of the tastiest Greek dishes and a perfect example of the healthy yet delicious Mediterranean cuisine. The secret to a great Dakos lies in the ingredients. Ripe, aromatic tomatoes, local olives, and olive oil, sundried oregano, and fresh goat cheese all add to the flavorful mixture. But its main star is the humble paximadia, a whole wheat or barley bread double baked in the oven until hard and moisture-free. It was used for centuries by the shepherds, farmers, and sailors of Crete as a long-lasting snack during their wanderings and is still an indispensable staple in any Greek household. Today, Dakos can be found in any good tavern across Greece but the island of Crete still remains the best place to try the dish in its most authentic form. However, with the right ingredients, Dakos can be easily prepared at home as well serving as a delicious reminder of your Greek holidays. Contributed by Helena of Just For One Summer. 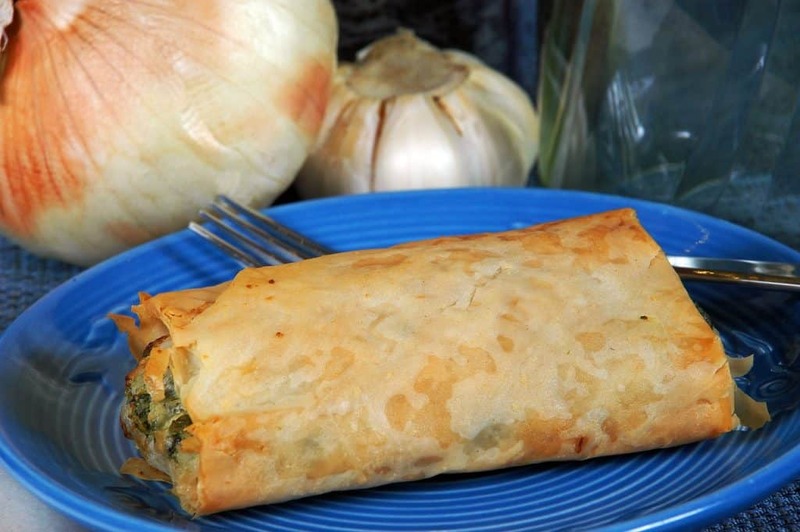 Who doesn’t love the combination of spinach, onions and feta cheese wrapped or layered in phyllo pastry with fresh olive oil? Egg yolks are used to give the flaky dough a golden color when baked in the oven until its crispy. Spanakopita is a classic dish in Greek cuisine. Of course, Greece is the best place to eat it, but it is also surprisingly easy to make this traditional Greek recipe at home. Spanakopita comes in different versions, from large spinach pies that are a filling lunch to handy snack-sized servings. There is even a vegan version for the fasting period of Lent that doesn’t use eggs and dairy products and instead uses spinach, onions, and a mixture of green herbs. It’s a simple, but delicious dish and you shouldn’t leave Greece before you try spanakopita at least once – preferably still hot from the oven in a traditional bakery. Contributed by Ellis of Backpack Adventures. Greek calamari is the best in the world! Fresh from the sea, the squid is washed and cut into many pieces, lightly floured and fried. It’s quick, it’s easy, and it’s delicious. 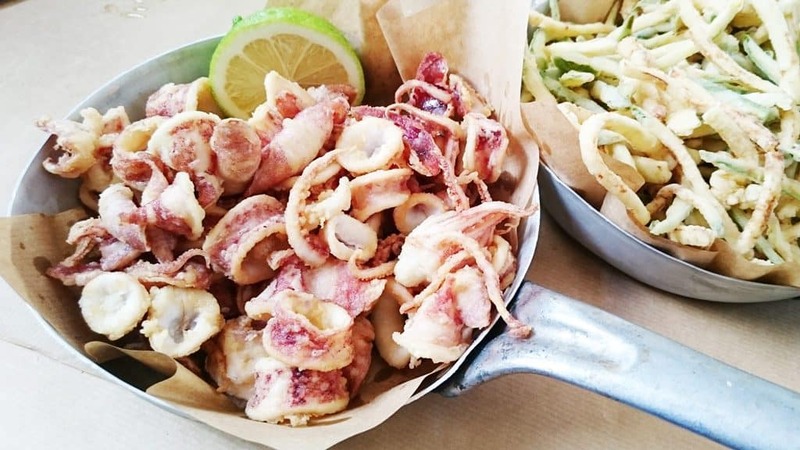 What makes Greek calamari, or Kalamarakia Tiganita, stand out? For one thing, it’s not over-breaded. In many places, the breading is so thick, that you cannot taste the squid. This is not so in Greek cuisine. Just a bit of browned flour clinging to the bits of the fish, and little lemon squeezed over, and the taste of the sea is highlighted. Whether at a seaside restaurant or just walking through Athens, there are plenty of places to try Kalamarakia Tiganita. It doesn’t have to be a meal, but just a quick lunch or snack accompanied by some fried vegetables and a cold beer. Enjoy. Contributed by Corinne of Reflections Enroute. 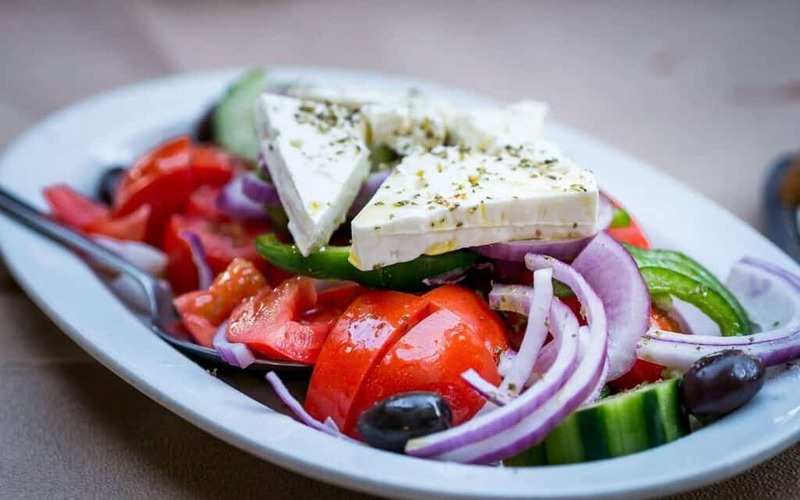 Made with the characteristic ingredients of the country, the Greek salad requires little artifice and is very easy to prepare even if one is far from the Mediterranean sea. Only high-quality products are needed – like those of the country’s garden in question – such as tomatoes, cucumbers, peppers, radishes, anchovies, olives, and red onions. To which is added salt, black pepper, oregano, and olive oil and vinegar or lemon juice for dressing. Fresh and delicious all year round, it is very difficult for tourists and locals to resist this delight, who ask for incessantly to accompany heavier dishes in restaurants at dinner time or as a unique lunch at noon. Today it is known worldwide as one of the main axes of the healthy Mediterranean diet, which helps keep cholesterol and other diseases at bay – in case you need any other reason to try this Greek delicacy! Contributed by Inma of A World To Travel. 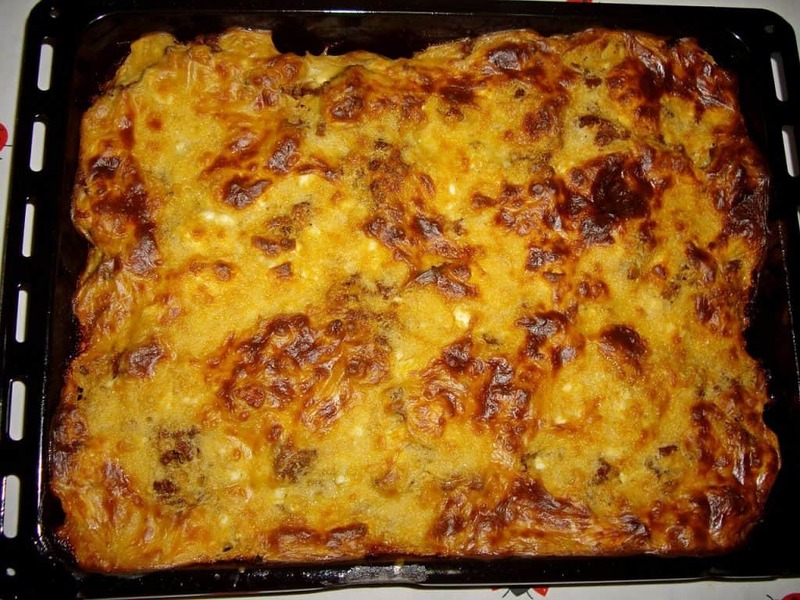 In its many variations, moussaka can be found in all the countries that once were under the Ottomans’ rule. Yet the ultimate version of it is to be had in Greece. This eggplant and ground meat Greek dish is earthy, comforting and quite simply mouthwatering. In Greece, moussaka is made by layering fried eggplants with a thick meat sauce – made with ground meat (traditionally lamb, but it’s also done with beef), tomato paste, cinnamon sticks, cloves, onion and slowly simmered; fried potatoes and a very thick bechamel sauce. It’s then baked in the oven until the top layer is golden. The result is a mouthwatering, somewhat heavy, yet delicious meal. Preparing moussaka takes a long time and a bit of effort. Most traditional food restaurants in Greece serve it – even on islands such as Mykonos or Santorini. But much like with Italian lasagne, the best one may try is the homemade version! Contributed by Claudia of My Adventuress Across the World. Also known as kotopoulo lemonato in Greece, this dish is a simple comfort food recipe with only a few high quality ingredients. Normally a chicken and potato dish would seem quite heavy to eat, but the bright addition of lemon lightens the flavor and makes it feel satisfying without feeling sluggish after eating it. 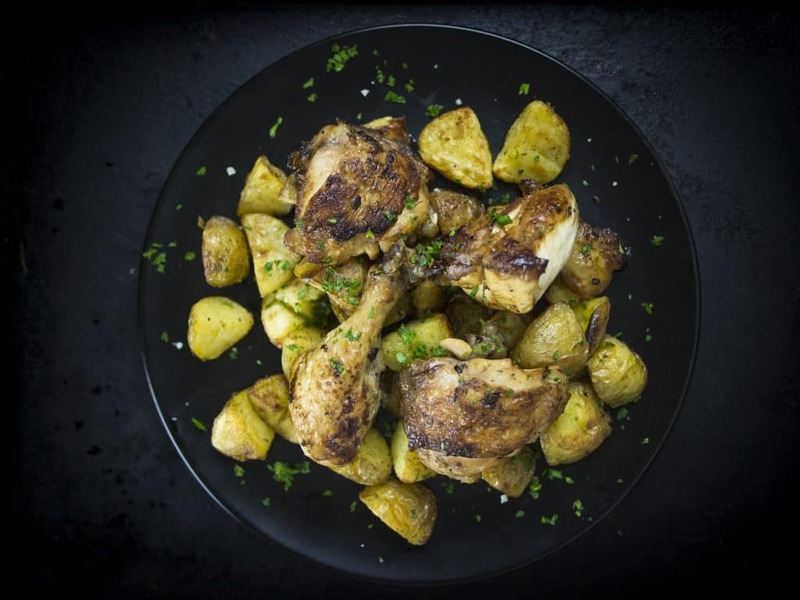 Greek lemon chicken with potatoes often includes just chicken, lemon, Greek olive oil, Greek oregano, and salt and pepper. With Greek food, the secret to a great meal is to treat each ingredient with care, and so the potatoes are first parboiled, which means they are placed in a pot of cold water and brought to a boil. Once it reaches a boil the pot is taken off the heat. After five minutes the potatoes are removed, lightly tossed in olive oil and roasted, resulting in crispy potatoes that don’t require frying. Contributed by Ayngelina of Bacon is Magic. One of the most loved Greek foods and definitely a must-try when you visit Greece, souvlaki is absolutely delicious. On our visit to Crete (the biggest island in Greece), it was my first time trying souvlaki – among other delicious Greek delicacies. Souvlaki is traditionally made of pork meat on a skewer with herbs and spices that has been marinated with olive oil for at least 8 hours. Then cooked on charcoal grilled! 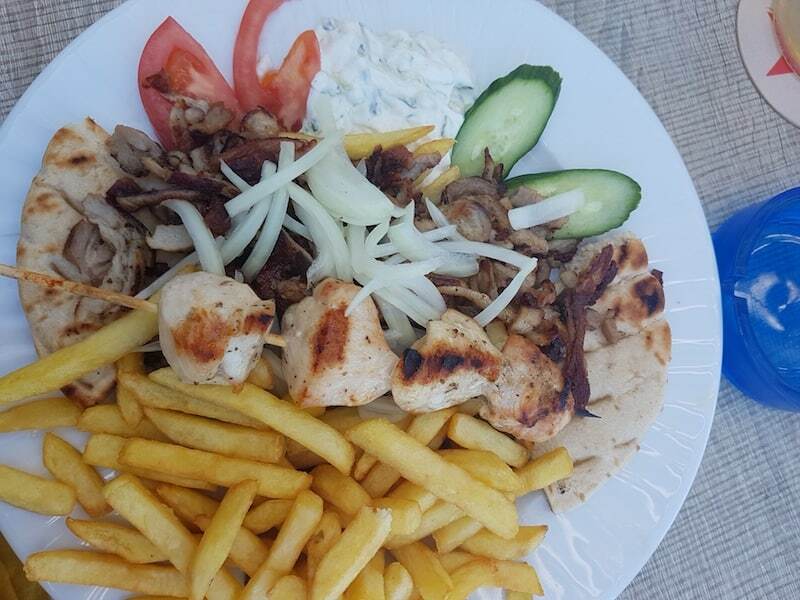 Sometimes, souvlaki or souvlakia (plural) are also served with chicken or vegetables for variety. The herbs and spices give a lot of flavor to the meat. It is definitely one of the more traditional and easy-to-prepare Greek foods. It is best matched with tzatziki and, of course, pita bread! Contributed by Ryazan of Everything Zany. Whilst in Greece, one of the best foods you should try is gyros. It is a traditional Greek food made from meat that has been cooked rotisserie style. 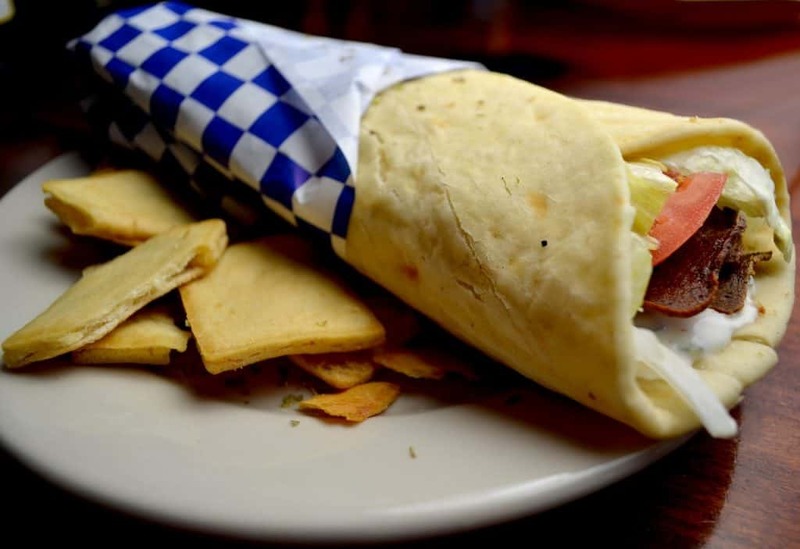 In many parts of the world, you might typically associate gyros with being similar to a kebab. Which is unsurprising, seeing as it is in fact derived from the doner kebab. But rest assured, the Greek gyros is by far much tastier. Originally, gyros was made from lamb. However, in recent decades, the switch has been made to predominantly chicken or pork. In some places, it is even possible to find gyros made from a selection of different meats. But it is not the meat alone that helps to make this dish so noteworthy. It is the accompanying salad and marinades that really help to finish it off. Tzatziki is the most common accompanying sauce, alongside fresh onion and tomatoes. And don’t worry, you don’t have to visit a particular place in Greece to find this tasty meal. Instead, it can be found all across the country, as well as on neighboring islands. Contributed by Bradley of Dream Big, Travel Far. One of the most delicious sweet treats that you’ll encounter in Greek cuisine is a type of pastry called bougatsa. Made from a light and flaky sort of pastry similar to filo, it’s usually filled with a sweet semolina custard filling, topped with a dusting of icing sugar and cinnamon, and eaten warm for breakfast or after a meal. If you’re a fan of Portuguese custard tarts then prepare to have your mind (and tastebuds) blown. For something a bit different you can also try the less common fillings of cheese and honey, or minced meat. 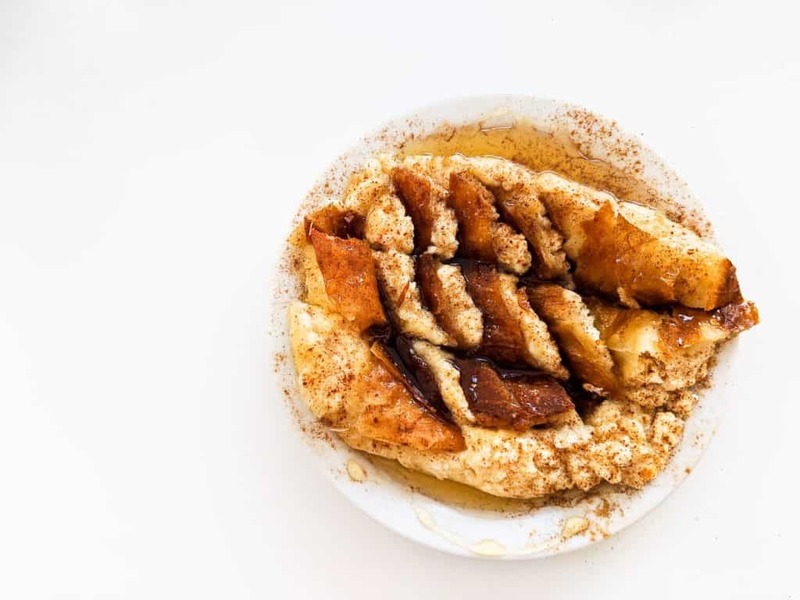 You’ll find these delectable morsels across Greece but the northern city of Thessaloniki is particularly famous for them, and at the other end of the Aegean the Cretan capital Heraklion is also a bougatsa hotspot. Contributed by Steph of The Mediterranean Traveller. Want to enjoy a little after-dinner drink in Greece but can’t stand the taste of grappa? Head to the lovely little island of Naxos in the Cyclades to try their local specialty, kitron. Kitron is made by fermenting the leaves and fruit of the citron tree, whose fruit somewhat resembles an elongated bumpy lemon but has a sweeter flavor. Today the citron tree primarily grows on Naxos, Corfu and Crete in Greece and in Israel (where it is called etrog). 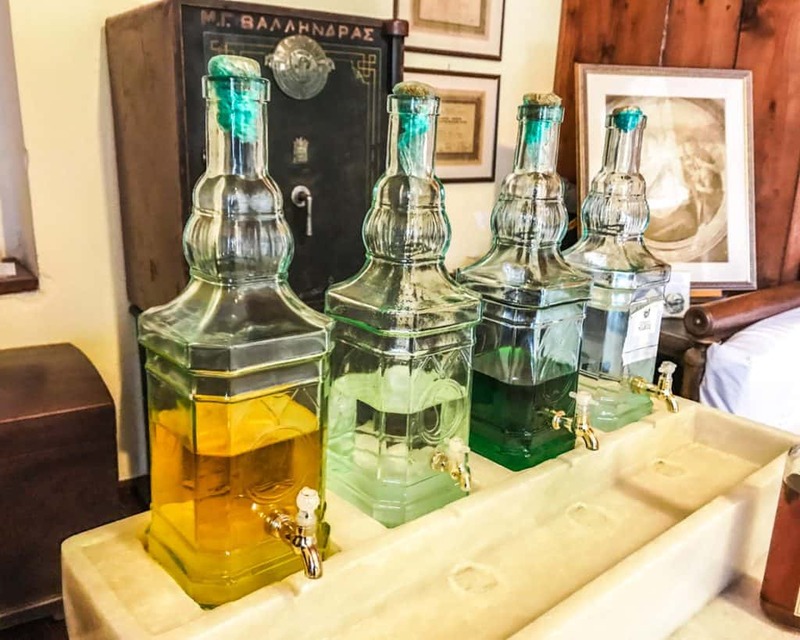 Kitron is distilled in the tiny town of Halki in the mountains of central Naxos and there are three varieties available: sweet, low-alcohol green; dry, high-alcohol yellow; and clear in between the two. The best place to try kitron is at the distillery itself in Halki. After a very brief look around the distillery, you can try all of the options and decide for yourself which one you prefer! Halki is just a brief drive from Naxos town and is a great stop on a day trip around the island. If you can’t make it out of town, the distillery operates a tasting room along the harbor in town as well! Contributed by Melissa of The Family Voyage. Enjoyed this post? Why not Pin it to share it? Thanks for allowing me to contribute to this post, but I see so many other foods I want to eat I think I need to plan a trip to Greece! A trip to Greece is ALWAYS a good idea!